Get our A+ Knit Stitch 2 HD Wallpapers today! Get 42 wonderful knit creations for your device home and lockscreen! 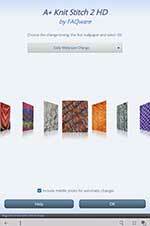 Customers loved our first Knit and Stitch Wallpapers and asked for more. So we've created 42 new wallpapers to help inspire your next knitting project. 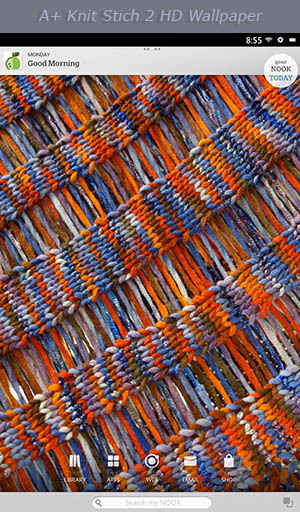 Get ideas for color schemes, yarn selection, and stitch variations. Each photo framed specifically for your HD devices. Photos change automatically each week, day, hour, minute, or stay on a single photo. Change photos and view captions any time with a swipe up or down. All Wallpapers are installed via the device's Wallpaper Dialog that appears when you touch a blank area of the home screen for a couple of seconds. Select the Live Wallpapers choice. For (HD/HD+) or Live Wallpapers Tab (Color/Tablet). 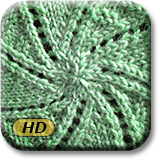 Now tap the A+ Knit Stitch 2 HD choice.